the real blog on commercial real estate. 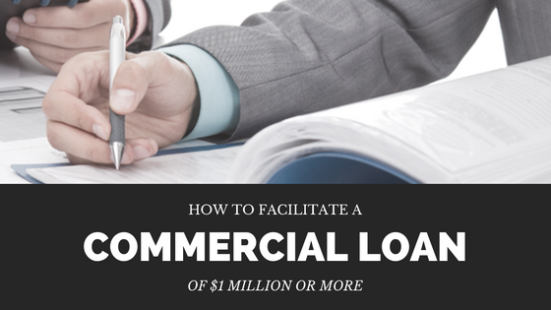 How to Facilitate a Commercial Loan of $1 Million or More. In this article, we’ll provide the know-how you’ll need to secure the trust of a borrower in a commercial real estate loan transaction–trust that is contingent on your capacity to manage multiple lenders. Did you know that underwriting and marketing a lender package is one of the full service options we offer right here at REsheets? Whether you want to learn the process yourself, or better understand ours, this is your step by step resource to building a professional lender package. Before we start, let us differentiate between the type of analysis necessary for securing a loan and the analysis we use in valuing a property for purchase or sale. You’ll notice on our product page that we sell 10-year discounted cash flow models. Let’s take a look inside the DCF through the lens of a lender. Although the DCF covers the impact of financing on the property, it does not account for the precision required in securing a loan. In a commercial or apartment DCF valuation model, financing is a fact, not a process, in other words, it accepts all the information necessary to calculate interest and principal, runs the financing on the bottom line cash flow, but cannot accurately account for the feasibility of securing decent financing, nor can it fully identify the factors necessary to secure the best possible financing. Don’t get us wrong, the DCF is highly valuable to investors for buying and selling, but less valuable to lenders. Financing section on a sample cash flow model’s executive summary. So what makes a lender package? A straight to the point request attached to crucial and appropriate financial information. We can divide the package into 6 main parts, so let’s get to it. The Request | This is what we’re asking for, so let’s be upfront with it. It’s as simple as the $ amount of the loan we’re requesting, and the percent of that $ amount to the value of the property as a whole (%LTV). The lender wants to know what’s at stake, and how much skin they’ll have in the game–they’ll expect the fine print to follow. The request should be the package cover, complete with a flattering photo of the property. The Property Basics | Ok, the lender knows what’s required from them, so now they’ll need to get their bearings. The property basics are anything but flashy. We stick to the specifics in a clear, concise layout: name, address, property type (retail, multifamily, industrial, office, hotel, mixed…), year built, renovated, rentable SF, lot size, etc. Too much more is overdoing it. The Historicals | An investor may not care much for a property’s past performance, she’s confident in her capacity as a commercial real estate wizard, and knows exactly what a property will produce once she lays her hands on it. A lender, on the other hand, won’t budge from history. A lender requires at least 3 years of historicals to be exact. Although future performance is a factor for a lender, the past can never be forgotten. It’s important to lay out clear historical columns a lender can analyze at a glance: actual income, actual expenses, capital costs, and all the jazzy ratios that come with financial data–expense ratios, operating margins, and DSCR and Debt Yield ratios. It’s important to base loan ratios on the debt service of the requested loan (not a loan currently encumbering a property) as a lender will want to see how a property holds up under the financial burden of the loan in request. A lender will need a Net Cash Flow Debt Service Coverage Ratio (NCF DSCR) greater than one–a property can’t have less cash on hand than the price of debt. Also, a Debt Yield (the net cash flow divided by loan amount) of at least 10% to keep the lender comfortable. If the property’s history isn’t helping the story you’re telling a lender, don’t panic, there’s still hope. The Underwriting | Here’s how we separate the casual conversationalist from a commercial real estate analyst. Lending is all about mitigating risk, and we can use the practices of these mitigations to benefit the property. For example, if your property is currently running at 100% occupancy, the bank will assume a rate of vacancy equivalent to comparable market conditions. If comparable retail centers in an example market hover around 90% occupancy, we will need to show the lender how our property handles those conditions by a 10% vacancy assumption. However, if our property has below market $/SF rent, we can increase our Gross Potential Rent by the difference in market rent and account for it as vacancy, thereby removing some or all of the extra vacancy assumption that must be included by the lender. In this example, if we hadn’t proactively accounted for the vacancy we knew was coming, the lender may have taken it right off the top. Management and capital costs are other examples of lender requirements which may be accounted for in similar fashions. The best underwriting typically involves a T12 with rent based on current rent roll/unit mix, but depending on the property, the underwriting may need to be adjusted in order to tell the most accurate story. The Rent Roll/Unit Mix | The historicals and underwriting show the bottom line, but a lender wants to see the workings, in other words, the individual contributors to property income and the risk associated with each tenant. In a retail example, the package should showcase in a concise layout: the tenants, SF per tenant, % gross leasable area, lease start and end dates (remaining months is a bonus! ), any lease extensions or options, rent & CAM (annual and /SF), and even market rents per tenant space. We should see summaries of each column, GPR, occupied rent/SF, and even a rollover graph of current tenants. Note: A lender may only take into account tenants with up-to-date lease contracts, especially an anchor tenant, and if a renewed lease is not agreed on at the time of consideration for a loan, the lender may not be willing to include the tenant as part of the underwriting. Sometimes it’s up to the underwriter to convince a borrower of the necessity of signing or renewing a tenant to make a loan feasible. If the property does contain a significant anchor tenant, the bank will likely wish to see tenant sales and occupancy cost ratios. The Marketing | Finally, it’s called a lender package for a reason. We’re selling a property’s income production potential and risk to a bank. While we never falsify any portion of the package (which could cause major complications down the line), it is our job to give a property its best opportunity at securing great terms. This includes providing information on the owner and his or her history, providing marketing photos and material, and ensuring that a lender feels comfortable that your underwriting is sound, thorough, aggressive, and honest. A lender will often quote loan terms based on a lender package alone if that lender package meets the accepted criteria. Don’t be afraid to ask for great terms, this isn’t just requesting a loan, but an opportunity to show the lender that he or she needs to be competitive in order to win your financing. We will discuss some of the tactics involved in managing multiple lenders in an upcoming blog. If you enjoyed this resource blog, please feel free to join us next time by subscribing for free email updates and follow us on Twitter.